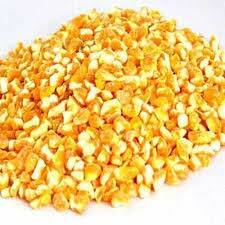 Broken Maize that we offer is widely demanded in industries like snack, beverages, corn flakes, etc. Our Broken Maize is also used as cattle and poultry feed. Broken Maize, we offer, is hygienically processed and free from adulterants. We can make available our Broken Maize in different mesh sizes and in excellent quality packaging. In addition, we ensure timely and safe delivery of the orders.